Dr Gaurav Luthra did his schooling from Dehradun and after that went to Maulana Azad Medical College, New Delhi to study medicine. He started his eye clinic by the name Drishti Eye Clinic in Dehradun. 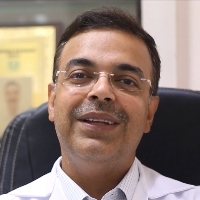 He is the President of Intraocular Implant and Refractive Society of India and Honorary General Secretary of Uttarakhand State Ophthalmological Society. Eye surgery is surgery performed on the eye or its adnexa, typically by an ophthalmologist. An expert eye surgeon is responsible for selecting the appropriate surgical procedure for the patient, and for taking the necessary safety precautions. "After completing my schooling from St Josephs, Drehardun I went to Maulana Azad Medical College, New Delhi for my graduation and post graduation in medicine. I have been practicing eye surgery since 1995."